My carbon steel wok is 13 years old and a treasured part of my kitchen gear. I found it for $5 on a clearance table and snapped it up, and that little bargain has proven invaluable over time. It wasn’t my first wok as I had given the nonstick woks a try, but after going through two of them and throwing them away due to peeling, I decided to go with carbon steel, which seasons over time similar to a good cast iron pan. It’s on the smallish side, about 12 inches across, but the size has been perfect for our family, up until recently. Asian food is one of our boys’ favorites and usually a solid bet for dinner time, and a few months ago we decided that we should probably have two woks so we can have multiple dishes served for meals. So we added another carbon steel 12-inch wok to our kitchen as well as a domed lid. Like cast iron pans, carbon steel woks are easy to care for. 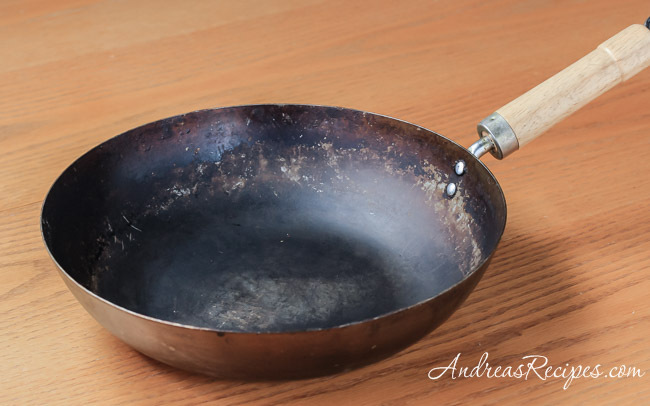 Season your wok before first use, then after cooking just rinse and lightly brush out any food particles and hand dry or heat on the stove just until dry. I also lightly rub the inside of my woks with a little oil before putting away. With a little care a carbon steel wok should last a lifetime and you’ll have years of enjoying homemade Asian food, like this Spring stir-fry with asparagus and snow peas. This sounds delicious. I have a couple of woks, but my favorite is an old one I got at a yard sale. 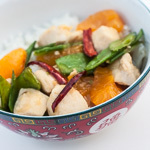 YUM–love the combo of ingredients here…I could eat that sans rice and everything! I just bought a wok last year, I cannot wait until it is well seasoned and beautiful like yours! I love asparagus and snow pea stir frys; but, never think of making them. Thank you for poking some new creativity towards us – we will be making this for sure! As well we appreciate the mention! My favorite is also a carbon steel wok that a friend brought back from China. It’s relatively new, just two years old, but is getting well seasoned and I expect I’ll have it forever. This looks appetizingly great! 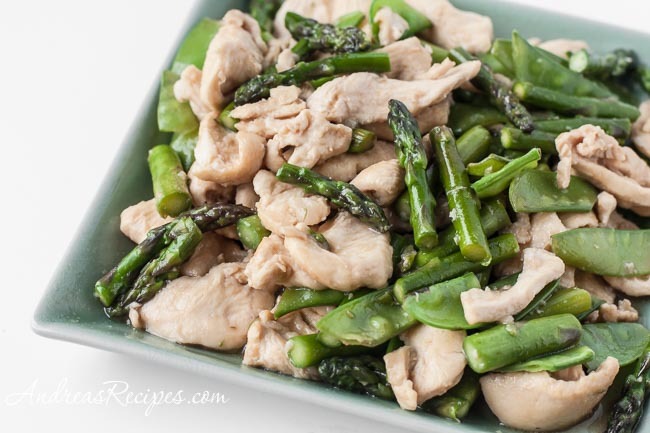 I have been looking for a good stir fry recipe for chicken and asparagus and this looks like one I could get at a great chinese restaurant. I have all the ingredients available in my pantry except for snow peas. I might substitute it with steamed broccoli instead. Will be making this for our dinner tomorrow. Thanks for sharing! 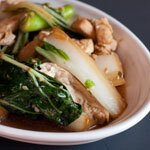 I love this recipe and will try it soon – your post reminded me that I bought a wok at a yard sale and have yet to use it. It is a stove top wok that you use on a gas stove. I’m going to try your recipe and try my wok! I really love your wok. So much history! I had to buy mine new, unfortunately, but I got a Lodge cast iron wok and i do love it. I am probably going to be cooking out of it for the next 3 weeks, so thank you for the recipe! What a wonderful way to use all the asparagus I have. Thanks for sharing a great recipe. I love asparagus as well, and I recently added a variation with shrimp. Do you have a Twitter account? I’d love to follow you so that I can receive more of your recipes! 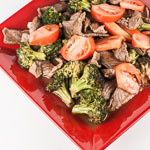 Absolutley loved this gluten free dish, my young children adored it!